Big Banks – Pariahs or Victims? Despite what we think, however, there is an alternate universe. A world filled with perverse logic in which the banks claim to be victims. Just as the enforcement measures are starting to have some success, Wall Street is in full revolt. When the record breaking $16.65 billion settlement against Bank of America was announced in August, Jim Cramer was live on CNBC demonizing the Justice Department and Manhattan U.S. Attorney Preet Bharara. He claimed regulators were being too tough on banks. Earlier this fall, there was a conference of regulators and bank lawyers in Washington. The lawyers assailed the regulators for being too tough on banks. One claimed that the regulators were competing against one another and that regulators were in a race to see who could extract the largest penalty. With all due respect to Cramer, the defense bar and the financial services industry, they are wrong. This year alone, several big banks were penalized and sanctioned for money laundering cash for Mexican drug cartels and terrorists, manipulating world currency exchange rates, manipulating global interest rates, helping wealthy clients evade taxes, and saddling taxpayers with junk mortgages. If the average Jane on the street did those things, they would be in jail. When banks do them they are fined. And then they whine. 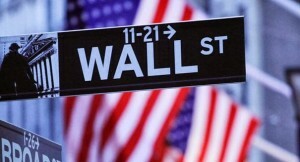 Well over 95% of the enforcement cases against Wall Street and banks are settled without trial. Despite the whining and wailing from Wall Street, banks don’t have to settle. In 2013, Bank of America decided to roll the dice and go to trial in a case where the government accused the bank of a scheme to defraud the Federal National Mortgage Association (Fannie Mae) and the Federal Home Loan Mortgage Corporation (Freddie Mac). The case involved shoddy residential mortgage underwriting. Bank of America lost badly. Since then, no other bank has gone to trial. Why? Because they don’t want the details of their crimes to become public and they know the fines they face in the courts are probably much higher than those they can negotiate with the regulators. What can the public do? Letting elected officials and regulators know how you feel is the first step. Hundreds of thousands of Americans lost their homes and millions were unemployed when the housing and financial markets imploded in 2008. Much of that was caused by financial greed and manipulation. Banking crimes are not victimless and the banks are not the victims. When the economy crashed, banks received billions of dollars of bailout money. Our money paid by our tax dollars. Many homeowners who lost jobs and couldn’t make their mortgage payments received foreclosure summonses. Second, those with inside or “original source” information about fraud or misconduct involving tax dollars, federally insured banks or government backed programs should consider becoming whistleblowers. Even when regulators wont listen, the Civil War era federal False Claims Act empowers whistleblowers to file civil actions (lawsuits) in the name of the United States and keep a portion of the money collected by the government.